What started as a simple tweet by a young man in Michigan has quickly blossomed into a viral social media campaign. I'm inviting all Black men to join me to help dismantle the stigma surrounding Black male intimacy (platonic and otherwise). 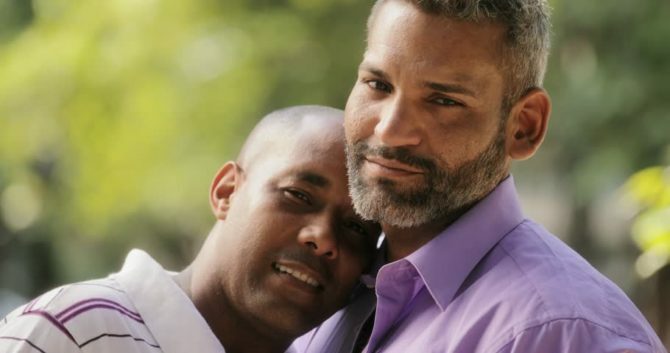 Share a picture of you embracing a male loved one and use the hashtag #BlackBoysEmbrace. In an interview with Blavity, Dickerson, who is openly gay, says the idea was inspired by the struggles he often faced with showing affection towards other Black men growing up. “Growing up I just found it really hard to express intimacy with the male role models in my life, it was hard for me to express a certain level of emotion,” he says. Dickerson says he wants straight people to “be held accountable” for fostering heteronormative ideas of what male intimacy can look like. “As I got older and began to learn about heteronormativity and all these things that sort of negate intimacy among Black men, I took it upon myself to try to deconstruct some of those oppressive ideals,” he says.